In the last six months, just-food has interviewed several heavy-hitters in the dairy industry about their plans for emerging markets, how they will exploit growing demand in regions like Asia and Latin America. But the Western giants will face strong domestic competition. We've chatted to senior executives from the likes of FrieslandCampina, The Irish Dairy Board, Arla Foods and Fonterra about their plans for developing economies where demand for dairy products is soaring. However, the growth in emerging markets has led to some formidable homegrown companies. Yesterday, we published our latest BRICs and beyond piece, which featured Brazilian dairy group Vigor. The company was formed last year when Brazilian meat giant JBS spun off and listed Vigor. We spoke to Vigor CEO Gilberto Xandó about the company's ambitions to further build its business in Brazil. In February, Vigor snapped up 50% of Brazilian peer Itambé. The deal means Vigor is the third-largest dairy processor in Brazil, Xandó says. Euromonitor data suggests adding up the 2012 sales of Vigor and Itambé would see it at number four - behind Nestle, Danone and Brasil Foods. 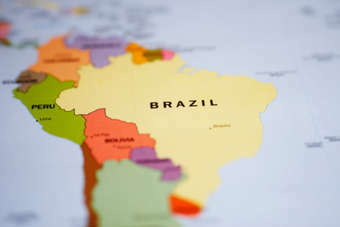 Nevertheless, Vigor is already seeing the benefits of a focus on value-added dairy products in Brazil, a market it sees as having a lot of potential for products like yoghurt. And, Xandó insists, Vigor wants one day to be "the largest dairy company in the country". For those multinationals eyeing the emerging markets with glee, remember: you are likely to encounter some serious and significant domestic competition.